Ty Long from Orlando, Florida is a spokesman for this supposed MLM opportunity which boast to be The Fully Automatic No Website Needed System which you receive instant 250.00 Paypal payments which is nothing more than an unethical and quite possibly illegal gifting scheme but, you won’t hear anyone else say that. There are a lot of affiliates are promoting Ty Long Cash Machine . The compensation plan consist of nothing more than sending 250.00 to whom ever recruited you, which we have no problem with if you were selling a product. There are many red flags in this scam starting with you receive no products not even a website. The Q&A states you pay 250.00 and you receive a recorded message and ad copy and access to “Our discount broadcasting service” and also access to leads which must be purchased separately. This is where whoever owns this crap program is making their money. The No Website System front end is nothing than a funnel to get folks who purchased this to buy the marketing leads and voice broadcasting system. Another red flag is you make payments by money orders, cash, Fed Ex and Western Union. You can also use Paypal but if they find out you can kiss your money and your account goodbye because this is against their TOS. We have been in the internet marketing niche for over ten years and stuff like this is what give MLM and direct sales a bad name. They take advantage of newbies who are trusting and believe all this hype when in reality this is a fraud that will quickly disappear just like all the other gifting scams in the past. Now we realize some are going to disagree with us about this and that is alright because you are also entitled to your opinion. With that being said we will not join The No Website System and we suggest you to not walk but to run away from this scam. We would love to hear your comments about this. I have been approached by several people about this opportunity and I am very skeptical about it. I already have a business I am very happy with and earn decent money with, but I always like to see what is around so, often I get approached by people. This opportunity rings alarm bells with me too, although there seems to be lots of people making money with it. I do not believe the person behind it is operating ethically, reason being, you pay the $250 to the person that introduced you to the program via various payment methods, including PayPal, but I am also in agreement with you, when you say not for much longer because PayPal doesn’t like program’s like this so you could get your account in trouble with them. In order for it to be hands free, no selling, no website, you have to pay for a phone system and pay to purchase leads, I believe these are monthly costs, so I am not entirely sure what you are paying the $250 for? If anyone knows please share. Maybe it is for the sales video you can use and redirect people to, but it seems expensive to me for a sales video when most opportunities let you use theirs for free. For anyone considering this I would tread carefull, make sure to ask lots of questions and contact the person who sent you the information, also if it is legitimate you should be able to find details on the company themselves when you do send them questions also, make sure you get a response. What are you receiving for your 250.00? 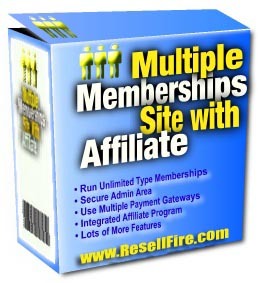 You don’t even get a website and you are urged to purchase leads and voice broadcasting to resell this scam. This is a classic gifting scheme. We feel sure there are people making money off of this No Website program in the short term for a fast buck. It is the same people you always see jumping from one program to another (Program Hoppers Syndrome). We are not against making money online but there are much better ways without the guilt of selling a program with no product. Thank you Claire for chiming in. I totally agree, you know what they say…if it walks like a duck and talks like a duck..
It’s illegal to sell an opportunity in order to sell the opportunity without providing a product(s) of value. So it seems their product of “value” is no more than a phone number to a recorded message about the opportunity. But of course there’s an “upsell” involved there too that costs an additional $100. Yep the feds will have a field day with this one. It seems it’s always the same people who get involved with these illegal gifting, ponzis and revenue sharing programs. One of these days the feds will start cracking down on the participants and not just the program owners. Without willing participants these programs wouldn’t exist IMHO. Sure there are some who get involved and don’t realize that it’s illegal until they get burned but most know what their doing and do it to make a quick buck off those who don’t know and then move on to the next scam. SMH! Couldn’t agree more, pure and simple ponzi pyramid whereby you are paying for supposed system, which is worthless, and then are duped into buying leads. Same old same old. Hello everyone! hope everyone is well. I am in the The 250 per day system formerly known as the Ty long No website system. their have been many changes to the system. the system now sells e-books has a much better 800 number message which is more realistic and has a better presentation overall with a facebook support group with a lot of resources and the system is converting better and feels better to promote than before. if anyone would like more information feel free to visit my website or call 1-908-374-7413 to hear the recorded presentation enjoy your day everyone. Exactly what are you buying here? Scams have no product and as far as we see this has no product. Correct us if we are wrong. Seriously people, are not ashamed? you really have nothing better to do then throw a page saying such crap…..if your not..you truly should be ashamed of yourselves….its a system MORON…. Are you not ashamed of taking money from people who don’t receive anything? Gifting scam with no products. We got an email today about the 250 no website program and these are the so called products you receive. I suggest all of you who are making comments but not doing your own research to go do your homeword and quit giving your opinion. this business has been around for almost a year and it does have products go to my webpage and you will se you have been mislead to think we don’t have products but we do i am not going to explain them here go find out that the products we provide in our back office far exceed the $250 it cost to own you very own business and you also earn $250 for every order you receive. This is a Legal business and is making me money. thank you. What you are saying really makes no sense. We went to your website and there is no mention of any products. If you have to join and pay before you see what the products are then that is not good business sense. BTW, thank you for leaving your comments. The thing about this whole work from home is that there are a lot of companies who want you to sign up and they tell you about all the money your going to make, but never tell you what it is that you will be doing. They only tell you that after you sign up and they get your money. I saw this on youtube and nobody ever tells what it is that this company do nor did they say you have to spend $250 to start. All they talk about in those videos is the money that you can make and then after that it’s blah blah blah. Also I notice that other people will bash another company and make it sound like a scam only to get other’s to look at what they are doing to get people to want to sign up with them. This whole working online thing is just sad. I’m starting to think that all of them are scams to be honest.